This brightly colored, oversized chair is as comfortable as it is bold. 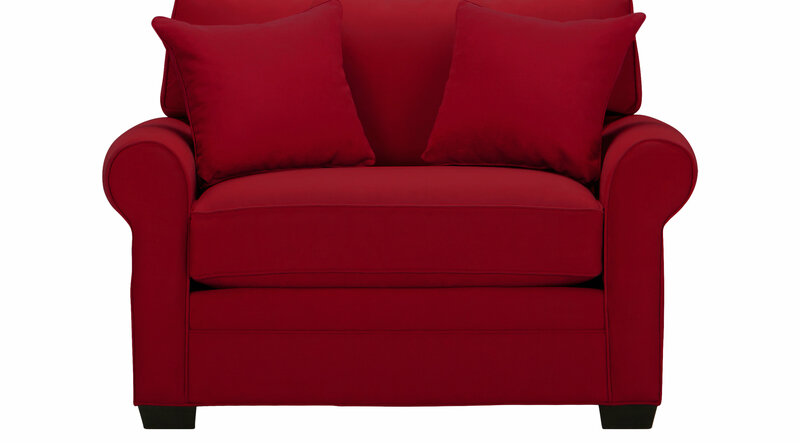 The Bellingham Chair, from the Cindy Crawford Collection, is finished in a cardinal red microfiber and features box seat and back cushions with padded rolled arms. Wooden block legs complete the sturdy, transitional appearance.